Bring the feel of a vintage, old world charm to you big day with our incredible Monogram Elite Wedding Collection. Made of crisp satin, this collection is the perfect combination of classic style and traditional elegance. 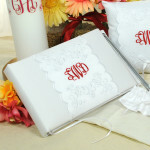 Personalized free of charge on each piece with a script, interlocking monogram, this collection is sure to add a touch of personality to every bride and groom’s wedding. 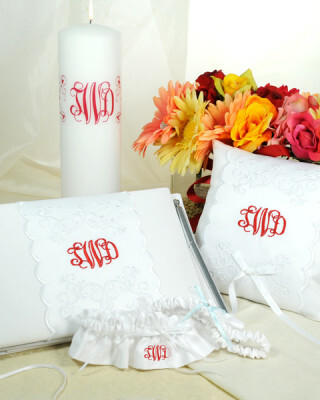 Both the guest book and ring pillow come with an ornately embroidered sash that can be tied on each item by four bows located in the back. Guest book comes with detachable pen. Available in White and Ivory. 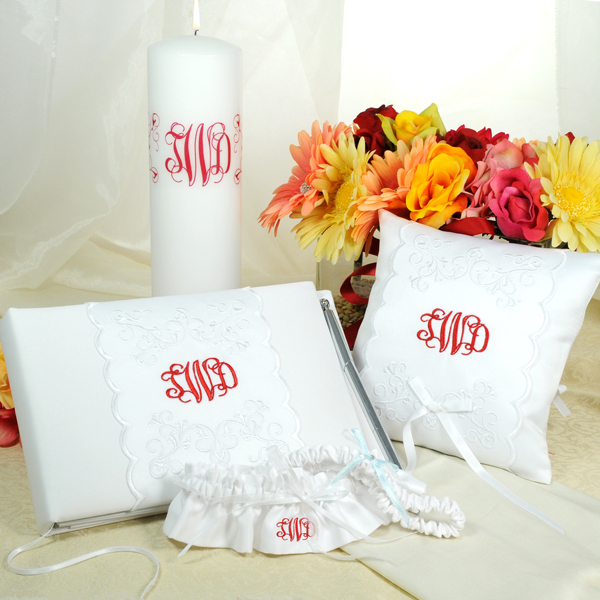 This wedding collection includes: Keepsake Garter & Free Tossing Garter, Guest Book with Attached Pen, Ring Bearer Pillow and Unity Candle. Items may be sold separately, but save 10% when purchased as a collection. Size: Pillow measures 6 1/2″ by 6 1/2 inches. Guest book measures 9 1/2″ by 6 inches. Pen measures 7 inches. Candle measures 3″ by 9 inches. Garter is one size fits most. Materials: Satin and wax. *Please Note: Ivory tapers may have slight color variations due to the dye process. 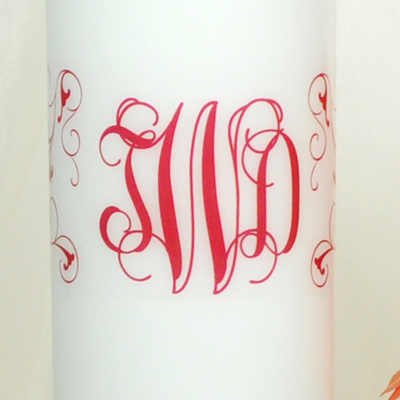 The Monogram Elite Collection may be personalized with an interlocking monogram in white, ivory, light purple, sage, aqua, medium pink, red, chocolate or black at No Additional Cost. 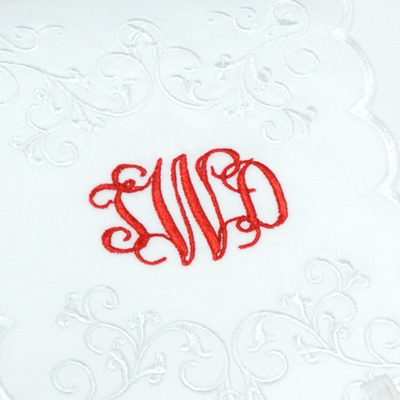 Tag: The Monogram Elite Wedding Collection.